Mr. Dushmantkumar Das got placed at Indian Navy at the package of 10 LPA. Home / Detailed General News / Mr. Dushmantkumar Das got placed at Indian Navy at the package of 10 LPA. 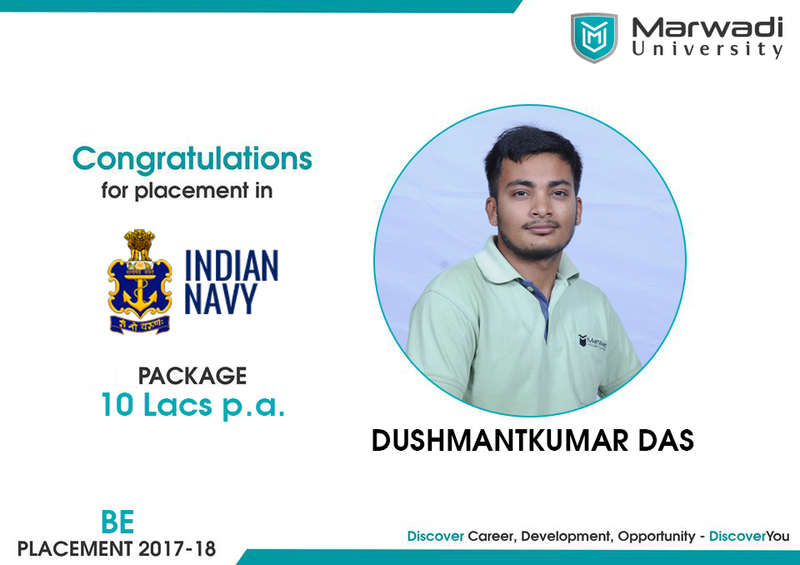 We Congratulate Mr. Dushmantkumar Das for getting placed at Indian Navy at the package of 10 LPA.